The next game we are learning is Block Breaker, similar to the classic Arkanoid. 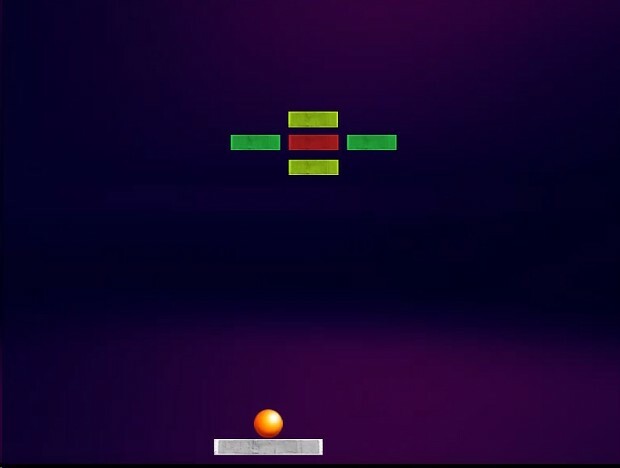 The goal is to create a game where a paddle at the bottom launches a ball that breaks bricks at the top. The challenge will be to add background music, sound effects, and visual effects for blocks breaking. Once all of the bricks are gone, we move on to the next level without interrupting the music. One thing I like about this course is they stress the importance of building the basic menu system first. They talk about how in game development, one of the barriers to delivery is that developers spend a lot of time making the game, but do no end up delivering the game because they do not do the work of making a menu system. Their philosophy is to start with the menu system so you just get it over with. That is the approach I am taking with Block Breaker. So far I am really pleased how easy it is to implement colliders in Unity and how simple it is to customize their shape. I like how you can specify how different layers interact with each other. The gravity aspects are very interesting, but for the game I envision building initially, I don’t imagine I’ll be using gravity much. Another concept introduced in this lesson is automated play testing. I find that very interesting, but I am wondering how difficult it is to build something like that. For Block Breaker, it was fairly straightforward but for the game I would like to build, I think it will be more complicated. Moving gameobjects with the mouse. See the video of the game below.